The German Shepherd dog is an iconic and instantly recognisable breed. To help you decide if he’s right for you, we’ve got everything you need to know right here in one place. The German Shepherd is well known, but there are some very mixed perceptions of him. Is a German Shepherd a good family dog? How much should German Shepherd puppies cost? What is the most common German Shepherd name? Do German Shepherds attack their owners? In this article we have an honest, detailed review of the German Shepherd breed. We’ll include their characteristics, temperament, suitability as pets, and the things you need to provide for them as an owner. It’s time to find out what we should truly expect from a German Shepherd! German Shepherd Dog is sometimes abbreviated to GSD by those who love them. And a LOT of people love them! They are enduringly popular as family pets, working guard dogs and as trained police dogs. They are also highly regarded in the show ring. Do German Shepherd dogs make good family pets? First, let’s take a look at the German Shepherd’s past, to help us understand his modern persona a little better. The German Shepherd was originally bred for herding and guarding livestock in all weathers. They were founded in the early 1890’s, when one Captain Max von Stephanitz set out to breed the ultimate all-purpose herding dog. His original intention was for this new line to continue working as herding dogs. But as the years passed and times changed, his goals transferred to working pastimes – namely in the police and the military. To fulfil his job the German Shepherd was intelligent, protective, co-operative and bold. He also needed to have a high level of fitness and be structurally sound. Today the German Shepherd’s nature is put to good use in a lot of important roles. They are easy to train, co-operative with their human handlers, and very active dogs too. This makes them perfect for many roles, including guide dog work, protection work, search and rescue, and police/military work. 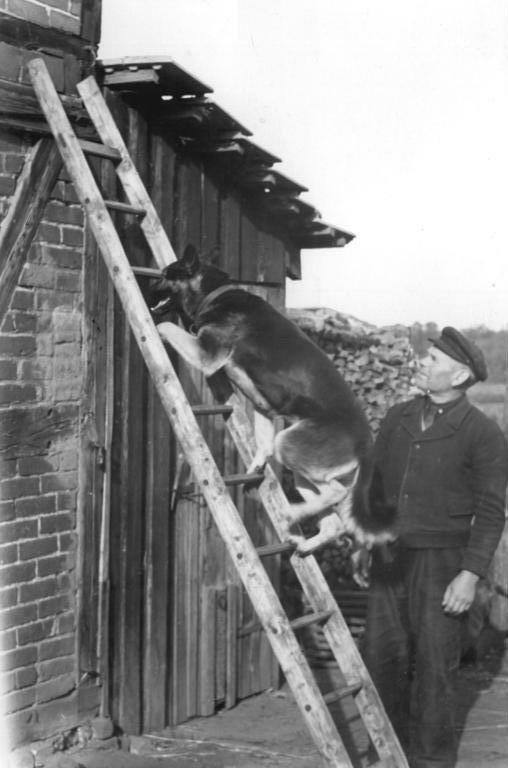 The photo shown here portrays a GSD working as a security guard dog in the 1950’s (courtesy of Bundesarchiv). Batman’s dog Ace the Bathound was a German Shepherd. German Shepherds were also among the first canine film and television stars. For example, a German Shepherd dog was the eponymous hero of the Canadian TV series The Littlest Hobo. Famous German Shepherd owners include Claudia Schiffer, Reese Witherspoon, Tom Hanks and Ben Affleck. More German Shepherds have won the Dickin Medal for Gallantry in military conflict than any other dog breed. Next, let’s find out how to recognize one of these notable hounds. German Shepherds are medium to large dogs. They are usually around 24 inches tall, with females on average a little shorter and males slightly taller. You can expect them to weigh in the region of 80 to 90 pounds. They have a thick double coat in black, sable or bi-coloured, with a fawn or grey undercoat. The outer coat will be thick, with hair varying from straight to wavy. The solid black German Shepherd Dogs is an increasingly popular choice. We’ve even seen it described as though it were a different breed. It isn’t though, and black is simply another color variety in this gorgeous breed. As is pure snowy white! You may not see your German Shepherd’s final adult coat colour until he is fully grown, as the outer coat takes longer to develop. German Shepherds should have a similar shape to that of their wolf-like ancestors. However this is where some changes to the breed have crept in. The Kennel Club state in the breed standard for the German Shepherd that “working ability [is] never sacrificed for mere beauty’. However, German Shepherd show lines of the last 50 years or so have been gradually changing shape. Specifically, the slant of their backs. Show dogs have been increasingly bred to give a ‘banana’ back shape. And as we shall see in the health section below, it is having seriously unpleasant health implications. The German Shepherd is a powerful and strong dog. He is attentive, alert, resilient and tireless. He is also very intelligent and highly trainable, as a working dog or as a family pet. German Shepherds are very bold and confident when properly socialised. Your average German Shepherd is also a fairly calm dog. Although playful at times he usually matures into a level headed member of the family. He may be aloof with strangers, but he will bond strongly with you and his immediate human family. This deeply rooted sense of loyalty often comes with strong guarding instincts. Whilst this may appeal to you as a watchdog, remember that a dog cannot distinguish between a welcome friend and a trespasser. If your dog lives with your family, you will want him to be friendly and confident around anyone that he doesn’t know. So it is important when you bring a German Shepherd puppy home to remember that these instincts need to be properly managed as he grows. German Shepherds can show signs of misplaced protectiveness to their families too if not properly exposed to social interactions. This is why socialising your new puppy to every potential scenario in readiness for his adulthood is so important. German Shepherds are born to be on the go. They crave action, and their bodies and brains need a work out every single day. So training and exercise will make up a significant part of your life together. Let’s look closer at the importance of socialisation, ongoing training, and daily exercise in turn. Proper socialisation is vital for your young German Shepherd puppy. Without it, his strong guarding instincts will make him wary of strangers both in the home and outdoors. The best way to reduce this and teach him to welcome your friends when they visit, is to really dedicate yourself to his socialisation when he comes home. Give him a week to settle in (perhaps get started on potty training), and then get the visitors around. Make sure you see a range of different people, of both sexes, from the very young to the very old. Although he won’t yet be vaccinated, take him in your arms to a variety of places that you will want him to be comfortable with as he grows. The pet shop, the bus station, the railway, busy town centres, and dog friendly cafes and bars. These are all great places to really flood him with a sea of new faces, sights and sounds. Make people coming and going an entirely normal experience for him at this point, and he will be far less cautious as he ages. Once he has had his second jabs at around 12 weeks old, you will be able to take him out on foot to all of these same areas to experience them from the ground too. Check out these 12 great places to socialise your puppy if you are looking for some ideas. This might seem like a lot of effort for a few weeks, but it will be more than worth your while. An under-socialised German Shepherd won’t make a better guard dog, he simply has a greater potential to be nervous, miserable and even dangerous. A well-socialised puppy and adolescent will grow into a friendly pet and a safe canine citizen. As he grows up, training is a vital way for your German Shepherd dog to use his body and mind productively. Games with a training element keep him both fit and happy, as well as relaxed when he is at home. At The Happy Puppy Site we firmly endorse modern, positive training methods. These are even more beneficial when working with a breed predisposed to guarding, like the German Shepherd. These pups learn by experience that training with his human friends is a fun and enjoyable, rewarding experience – not something to be feared or resented. Training is an important part of German Shepherd ownership as they are big dogs, who can potentially get themselves into trouble if they are left to their own devices. Your puppy will need to learn not to knock people over, and to walk on a loose lead. Effective training and management will ensure that your GSD puppy is safely under control, and happily kept occupied and stimulated in a positive way. German Shepherds are active, intelligent dogs who need plenty of physical and mental stimulation. 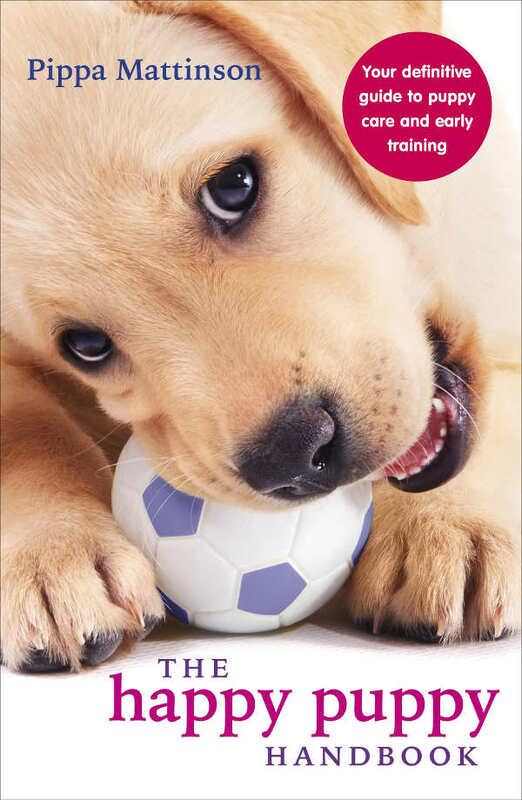 This means that there are a wealth of fun activities that you and your puppy will be able to take part in as he grows. They will need either a couple of hour long walks each day, or a shorter amount of time with much higher paced exercise. For example running, agility, complex retrieving or swimming. Agility is great for exercising the body and allowing the dog to work co-operatively with you. Pastoral work can be harder to find, but works well with the German Shepherd’s natural instincts. Scentwork, such as search and rescue, can be very rewarding for you both and is rapidly rising in popularity for fun as well as working purposes. Basic obedience classes and advanced obedience training are highly suited to these focused and trainable dogs too. They give the advantages of training and exercise in one big satisfying hit! Once you are happy that a German Shepherd puppy is the right choice for your family, you need to learn all about the potential health issues that could impact your pup as he grows and how best to avoid them. As for all purebred dogs, there are some hereditary diseases which occur more frequently among German Shepherds than in the canine population at large. This is because pedigree dog breeding imposes, by definition, a degree of inbreeding. In fact all of today’s German Shepherds can trace their lineage back to just one dog. You need to be aware of the common health problems of German Shepherds when you choose a breeder for your puppy. Hip dysplasia and elbow dysplasia are common ailments of large dog breeds. The bone at the hip or elbow joint is malformed, which leads to painful arthritis and lameness. Make sure your puppy’s parents have better than average hip scores and elbow scores to reduce the risks of your pup suffering from these joint problems. Another issue which can affect a German Shepherd dog’s joints is osteochondritis dissecans (OCD). OCD is abnormal growth in the cartilage of the dog’s joints. To avoid OCD in your pup as he grows, find a breeder who has deliberately mated lines without the tendency to develop this problem. You can find out more about OCD in GSDs at this useful website. This disorder of the pancreas affects around 1 in 5 German Shepherd dogs. It prevents the small intestine absorbing fats properly, so that young dogs fail to thrive and grow normally. Although we know it is a hereditary genetic disorder, there isn’t a test for carrier dogs yet. Instead, a good breeder will keep records of cases across their dogs’ family trees, and avoid breeding those who might be carriers. Around 10% of young German Shepherd dogs experience intermittent lameness caused by panosteitis, which affects developing bones. Dogs grow out of the condition when their skeleton matures. GSDs are also known to potentially be affected by degenerative myelopathy. Myelopathy is a spinal cord disease which stops the dog from using his back legs and can result in the dog being euthanised. German Shepherd a more than averagely prone to allergies. The most common allergies are dermatitis, inhalant allergies and food allergies. These may or may not have a genetic component, so it’s worth asking if either of a puppy’s parents have a history of allergies. 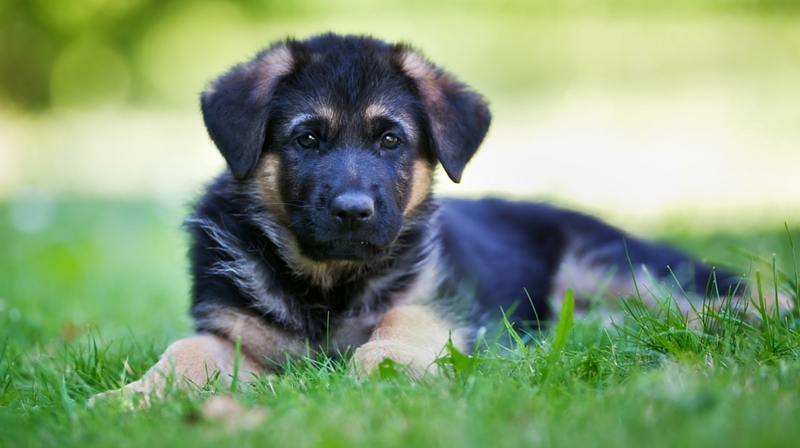 German Shepherd puppies are also vulnerable to haemophilia. Finally, like all deep-chested breeds, German Shepherds are vulnerable to bloat. Bloat happens when a dog’s stomach twists back on itself – usually as a result of gulping food too fast. Only urgent surgery can fix the problem, and approximately 15% of German Shepherd deaths are a result of bloat. There is no test for a risk of bloat – you simply need to be aware of the risk and manage it. It probably feels like we’ve already talked about health a lot. However, the main issue that we need to focus on with German Shepherds is regarding their conformation. 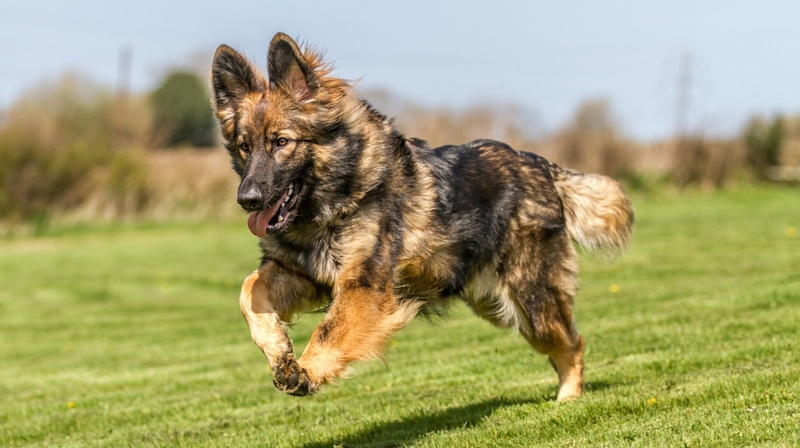 In recent years the German Shepherd has increasingly become a divided breed, between those bred for practical purposes and those bred to display certain physical characteristics in the show ring. The appearance of the German Shepherds that we see today in the show ring, is very different from that which was around in the 1950s. In particular, modern breeders have focused on creating a steeply sloping top line in their dogs, along with an extreme angulation in the back legs. 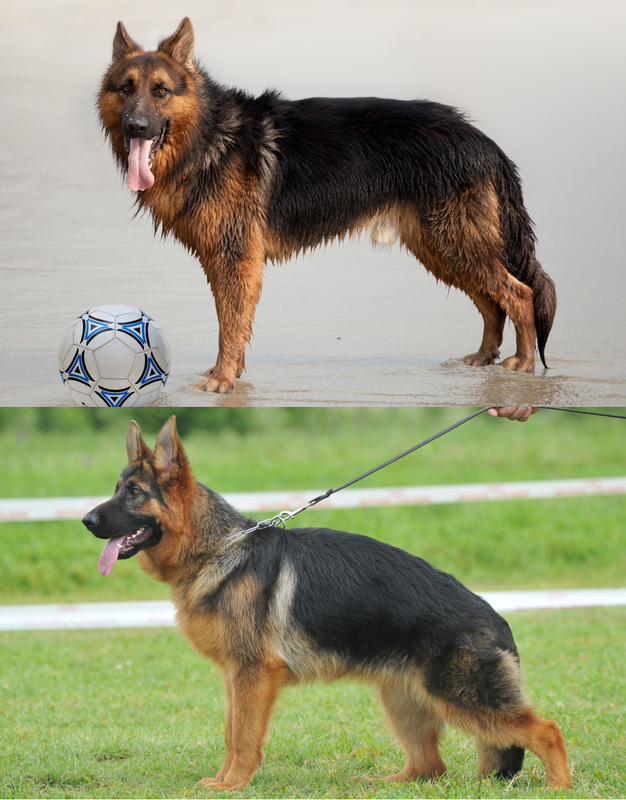 Compare the two German Shepherds shown in this picture. You can see the distinct difference in their top line. The first is almost level, the second is at a rather steep angle. How uncomfortable this roached back and angled legs is for the dog is debatable. It certainly looks uncomfortable, and is something that many vets are concerned about. Fortunately, it is also something that Kennel Clubs are attempting to address. On average a healthy German Shepherd has a lifespan of over 10 years, and maybe up to 15 if you are lucky. This is comparable to the similar-sized Labrador Retriever. Provided your puppy comes from properly health tested parents with good conformation, and is given the right diet and exercise, they should stay fit and healthy for most of their time with you. Do German Shepherds Make Good Family Pets? A well socialised German Shepherd can live very happily alongside children. They do not tend to be overly pushy like some breeds, although as a large dog there is a risk of them accidentally knocking over small or frail family members. Never leave a young child alone, unsupervised with a dog, however reliable you believe them to be. Remember, even the best behaved kids are unpredictable and even the nicest dog can misread their signals on occasions. Be doubly cautious with your kids’ friends – strangers to your wary GSD – and make the guidelines for behavior around the dog a priority for older kids and teens. As with any dog, make sure they have somewhere they can retreat too when needed, and that your children never disturb your dog when he is in his crate, bed or whilst he is eating. German Shepherds do make fantastically loyal pets to active adults, and families with older children (requiring as they do a fair amount of your attention by way of training and exercise). German Shepherds are best suited to larger homes with gardens. They do not do well with apartment living, as they need plenty of space to stretch their legs and access to the outdoors. German Shepherds have a distinguished history as guard dogs and hard workers. And we’ve talked about how they will regard strangers and new faces with reserve and caution. But what about when the working day is done? Does their protectiveness translate into affection and cuddles with people they know properly? German Shepherd dog owners say that their pets are gentle and affectionate at home. In fact these loyal companions have a strong instinct to stay close to their people, and often follow them from room to room like a large furry shadow. Historically, a common job for working German Shepherds was protection work. Guarding premises, property or people. And their handlers often expected them to do more than just raise the alarm – these dogs were also expected to attack intruders. It was a time when we treated dogs (and other people) very differently. But it’s left a legacy in our imaginations, which makes a lot of people ask “are German Shepherds dangerous? Any dog can be raised to respond aggressively when they are frightened are provoked. Let’s look at some of the most recent studies into dog aggression by breed. This 2006 review of dog bites in Austrian children found that the risk factor for an attack by a German Shepherd was around five times higher than by a Labrador or a cross breed. But when this 2008 study compared over thirty breeds of dog, the German Shepherds included weren’t any more likely than average to be aggressive to humans or other dogs. Nor were German Shepherds one of the breeds regarded as particularly high risk for aggression at the end of this Spanish study. They are big, strong dogs who should always be supervised around children. But if they are raised properly, they should be no more dangerous than any other family dog breeds. One way to bring home a German Shepherd with a clear idea of their health and temperament is to rescue them from a shelter. Many healthy, well-behaved dogs end up in shelters because their previous owners’ circumstances changed beyond their control. 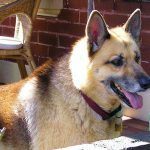 We’ve included a list of German Shepherd Rescue Shelters across the U.S., U.K. and Australia at the bottom of this page. The best way to find a healthy German Shepherd puppy is to be careful when selecting their parents. Go to a breeder who has a health-tested mom, who has been put to a health-tested stud dog. Make sure that you see photos of them both before you even visit the litter, to ensure that you are happy with the conformation of each of them. Remember, if either parent has a banana back then their puppies are likely too as well. German Shepherds bred for an active purpose like agility or police work are more likely to have a level back as they need to be physically capable of carrying out these tasks. However, working line dogs might not have temperaments suitable for a family home. When you meet a litter of puppies, insist upon meeting both of their parents. They should be calm and confident, and only take a short time to warm up to you. If mom and dad both have a friendly disposition, it’s more likely their puppies will too! Our Puppy Search guide will help you spot a good breeder from the bad, and ask the right questions when you meet them. Caring for a vulnerable German Shepherd puppy is a big responsibility. Germans Shepherds form deep attachments to their carers, and are best housed indoors and amongst their family. Although they are confident dogs, they do need plenty of human companionship. Left alone all day every week they will become miserable, and potentially noisy and destructive in the house. If you work full time, employ a dog walker to come over at least twice during the working day, or enrol them ins a dog creche. German Shepherds vary in coat length, but they all require grooming. They are double coated and tend to shed profusely at least twice a year, as well as moulting quite excessively all year around. Groom your GSD with a brush at least three times a week. To make light work of it, we’ve reviewed some of our favorite brushes for German Shepherds here. You might also find that investing in a powerful vacuum cleaner keeps the movement of shed hair around the house to a minimum! Get your grooming routine well organised from the first day you bring your GSD puppy home, so that he is happy and accepting of this activity when he is older and really needs it. More and more people are interested in mixed breed dogs these days. And German Shepherd mixes are no exception! 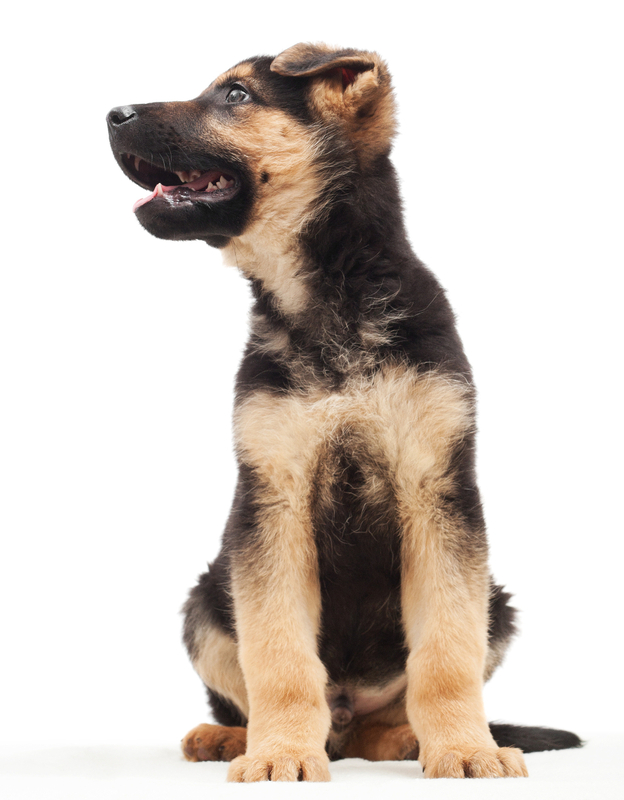 You can find even more charismatic German Shepherd crosses in this article! If the German Shepherd ticks some boxes for you, but not all, it can help to compare them alongside other breeds. In these articles, we compare the German Shepherd against some of the most common breeds other people choose instead. Would you like to see how the German Shepherd measures up to another breed? Send us your suggestions and requests in the comments box. Perhaps the German Shepherd hasn’t quite won you over, or you’re struggling to find a breeder of healthy puppies. 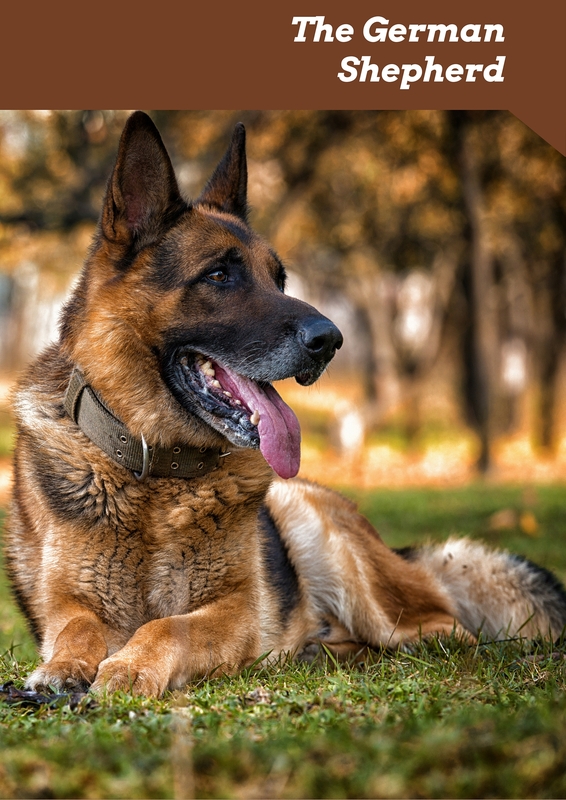 These breeds share many winning qualities with the German Shepherd, but have some unique qualities of their own. Unsurprisingly, this popular and longstanding member of the canine community comes with a lot of information to take in! Here’s a summary of the pros and cons of German Shepherd ownership. GSDs are naturally shy, so they need a LOT of socialization and training during puppyhood. There are some widespread conformational and genetic disorders in the German Shepherd population. They don’t like to be alone, so if you work out of the house, doggy daycare will represent a significant financial outlay. This clever dog loves to work alongside humans, and picks up new commands quickly. He loves his family, and treats them with loyalty and devotion. If you have an active outdoors lifestyle, he’ll be able to keep pace everywhere you go. And finally, do you remember that many of our readers are interested in the most popular German Shepherd names? You can find more German Shepherd naming inspiration in our list of over 200 great German Shepherd names. Is a German Shepherd Right For Me? The German Shepherd is often described as a true dog-lover’s dog. They are, smart, loyal and courageous. They fit well in households with adults and older children, who enjoy and active outdoor lifestyle. The more time you have to spend with your German Shepherd socialising him, training him, and giving him work to do throughout his life, the happier and easier to live with he’ll be. However, this might not be the right time to get a German Shepherd if you have young children, or young children visit your house regularly. Don’t worry if you feel confident about bringing home a German Shepherd right now, it doesn’t mean you won’t be able to in the future. Why not check out our Breeds section and see whether another breed might be better suited to you at this point in your life? If you are ready for a German Shepherd, then get ready for some serious fun! Choose your puppy carefully, pick only the best, health tested and bred to be well conformed puppy you can find. Make sure you meet both of your puppy’s parents before you commit to bringing him home. They should be relaxed in your presence, and have madly wagging tails shortly after your arrival. Finding the right puppy is important. It will be worth the extra effort and initial outlay, and you will hopefully have a loving, loyal, intelligent and fun companion to share your life with for years to come. Do you have a loving, local rescue to share with our readers? Please tell us about them in the comments box! Gough et al, 2018, Breed Predispositions to Disease In Dogs and Cats, Wiley Blackwell. Cavanagh & Bell, 2012, Veterinary Medical Guide to Cat and Dog Breeds, CRC Press. Hi . This Degenerative Myelopathy, is it mandatory for a breeder to have tested the dogs their breeding before breeding.?? Hi Eliasu, If you cross two different breeds of dog together then the puppies will by definition by mixed breed. Pure bred puppies have two parents of the same breed. I hope this helps. 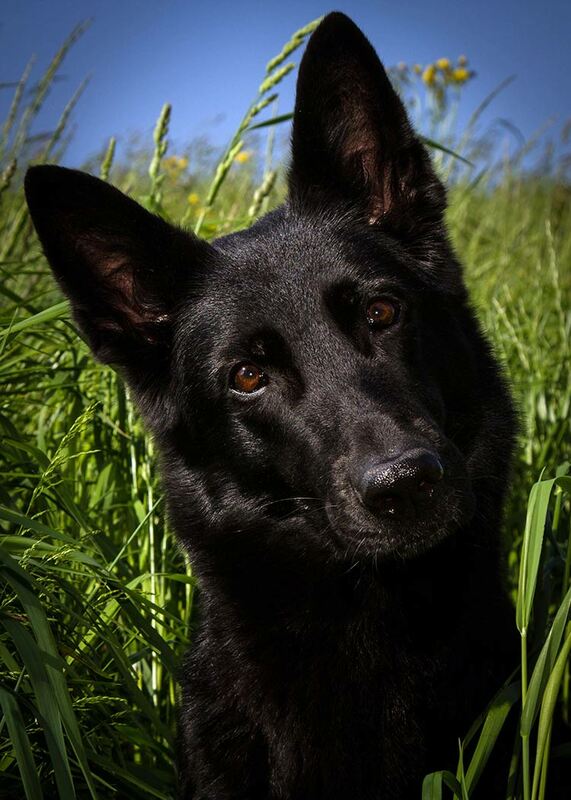 Yes, the characteristic of the German Shepherd breed of being aloof with strangers further enhances their ability and appropriateness as a guard, police or military dog. The German Shepherd breed needs a lot of stimulation and training is very important from a young age, as you say. An absolutely fantastic breed of dog, but are better suited to people with dog experience of someone who is able and willing to give the dog the time, attention and care that they need in order to raise them properly, in which case, they can be one of the best dog breeds you could ever own.